McDonald’s and its independent franchisees are using Snapchat to help hire 7,900 restaurant employees in Southern California this summer. ‘Snaplications,’ a term coined by McDonald’s, is a first-to-market hiring tool that allows job seekers to be served a video ad and begin the application process for a job at a McDonald’s restaurant through the Snapchat app. “We’re always looking for new and innovative ways to find job seekers. We thought Snaplications was a great way to allow us to meet younger job seekers where they are — their phones,” said Jez Langhorn, a senior director in human resources for McDonald’s USA. Snapchat users nationwide are being served video ads of restaurant employees talking about the benefits of working at McDonald’s. Viewers can then “swipe up” to instantly visit the McDonald’s career webpage in Snapchat to explore the opportunities offered by McDonald’s, and apply to their local restaurants if they so choose. McDonald’s has 14,000 restaurants nationwide, with more than 100 in San Diego County. 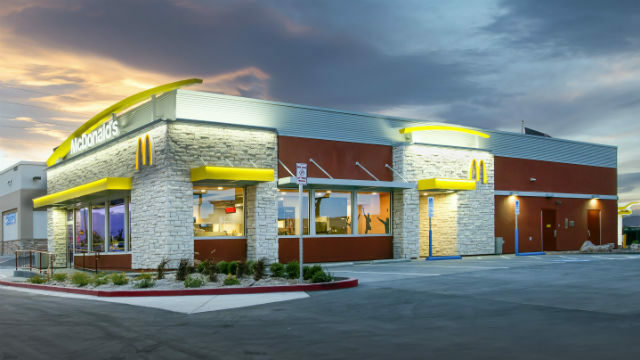 “We want to make sure job seekers in San Diego County are aware of the great opportunities available at McDonald’s,” said Jamie Straza, an independent franchisee and president of the San Diego County McDonald’s Owner/Operators Association. “We provide restaurant employees with opportunity by offering flexible schedules, professional skills they can use throughout life, and education programs. Job seekers can also visit McDonalds.com/careers to learn more and apply.